Matchmaking platforms are no novelty in today’s market. But what makes Inclov stand out from others is its initiative to find friendship and love for differently-abled persons. Short for “inclusive love”, Inclov is designed for accepting persons who may or may not be differently-abled themselves. Founded by Kalyani Khona along with Shankar Srinivasan, Inclov was born out of Khona’s core belief that no one deserves to be alone. What started as an idea in 2014, is today an active platform for persons with disabilities for finding companionship, with more than 30,000 users and 10,000 unique connections across the country. As a young student just out of college, Khona came up with the concept of Inclov and spent days researching only to find out that this had never been done or entertained before. After multiple meetings and tons of first-hand experiences interacting with people from the differently-abled community looking for a suitable match, Khona decided to take her idea from Mumbai to Gurugram. Once a user gets on to the app, Inclov curates the user’s profile which is followed by a review process, mobile verification and in-chat feature, where the user does not have to disclose personal contact details. Once the user is on the app, he or she can view five profiles each day. “Our algorithm then works on giving them a match based on age, location, lifestyle, disability type, medication and curability”, says Khona. She adds, “The app is fully-accessible to people with visual impairment through screen reader and talkback. We also launched Inclov’s web version and Inclov Lite, a text-focused version of the app to make the platform even more inclusive”. After a successful round of crowd-fundraising and great feedback from the community, Inclov is now available in web, Lite, Hindi and Punjabi versions. The startup raised last round of funding from Rajan Anandan, managing director and India head for Google, Debjani Ghosh, former MD of Intel South Asia, and existing investor Raghav Bahl, founder of Network 18 and Quintillion Media. With a team of 8-10 people, they aim to utilise the funds primarily toward product development and geographical expansion. For Inclov, the community member is at the core of the company, and that’s why the entire tech and user interface is dedicated to making the user experience seamless. To ensure this, since its very inception, the team has extensively been using data mining and analytics to ensure that they are listening to the community and help create a better experience for them. They also have daily and monthly reports on user demographics, location, tracking URLs, keywords and traction using Inclov’s own backend APIs. To keep up with the technological expertise, the startup is hiring developers and engineers extensively for front-end and back-end operations. “Apart from technical skills and work experience in Python (Flask), we also require people who fit in the culture of the company and understand the value of looking at the big picture”, she shares. Since the core principle of the startup is inclusion, they also have differently-abled persons on their tech team which helps them design some of these tenets. 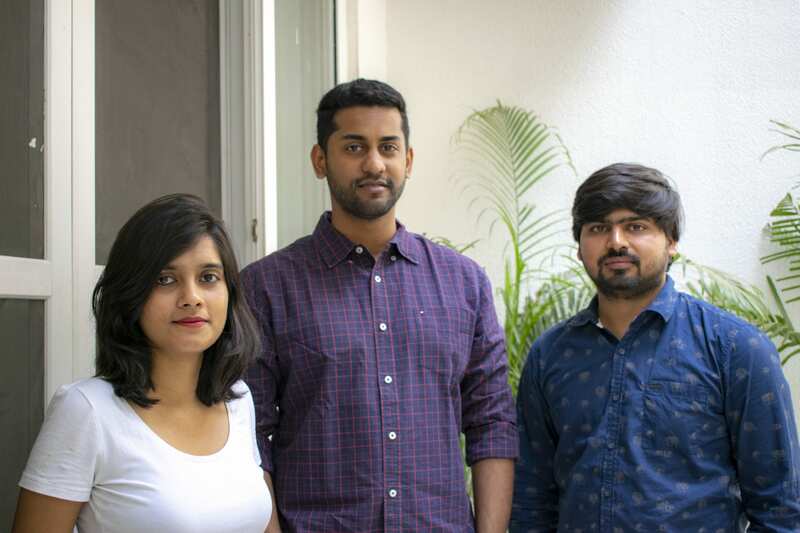 The startup uses AI and ML to aid scalability of their platform, which currently caters to over 195 million strong community of persons with disabilities in India. “Machine learning helps us understand the user’s persona — his or her disability type, the percentage of disability, cure availability and similar medical information. Once we receive this data, with the help of AI, we use filters and common algorithms like age, disability preference, location along with few other key behavioural factors to determine best suitable matches for the user profile”, Khona shares. She further explains a few instances where deep tech helped them. For example, deep tech can help them determine if a user with Polio is compatible with other users who have physical impairment; or visually-challenged individual is more likely to interact with other visually-challenged people more comfortably, and so on. Technology is the bedrock on which the platform is built. The app, web platform and lite versions are all using tech best practices to make the experience more enriching. With ML and AI algorithms for matching members and by using big data in creating new product milestones, the startup has improved significantly in its product offerings. The current version of the Inclov mobile app comes with talkback and colour change features. “We’ve had a great response so far. What started as an idea is today the largest platform for people with disabilities in the country. We launched our web version in March year and have also rolled out our app in Hindi and Punjabi which will soon be followed by other languages”, Khona shares proudly. She also said that how regularly they hear from their community members and their families about how Inclov has helped them enable independent social living. “Our most valued milestones will always be community-centric, from having marriages happen because of our platform to seeing people make friends for the first time in their lives”, she said. Sharing her plans for 2018, she said, “While we have begun with India and the immense encouragement we have had here we want to take our platform to the world are looking at Singapore and Australia as our next market”. “Apart from this our team is working on an interesting programme called the Genome Project which will help create and map digital DNA of every user based on their past behaviour, interest, hobbies and partner preferences to suggest and match with other suitable candidates”, she said. Magnitude of disability spectrums: For every disability type (of 100+ listed on their platform), each person with an impairment has a spectrum and the percentage of their mobility, cure, movement — progressive or non-progressive. For us to map these aspects while showing suitable profiles to each person with intellectual, physical, learning disability with persons of no disability is extremely challenging. Understanding that data to create a user persona leads to unique preference sets for every person with a disability. Accessibility: There are 70,000 devices across the globe and we have to ensure that the platform is accessible (for people with visual impairment, retina disorder, colour blindness etc.) across all platforms during every device or OS update which is extremely challenging to keep up with for a small four people tech team with multiple platforms and projects under their belt.